After years of brands thinking they could do it better (and cheaper, and faster) themselves, one lousy ad is changing the conversation. Of all the seismic shifts upending the ad industry these days, few have threatened the status quo like the rise of in-house units to do the work historically provided by agencies. From media buying to production to strategy to creative, seemingly no job is safe from marketers’ long-simmering suspicion that they could do it better, faster and cheaper themselves. Fifty-eight percent of US brands brought their creative in-house in 2013, up from 42 percent in 2008, according to the most recent research on the topic from the Association of National Advertisers. And the trend has almost certainly accelerated since then. In the past year, Verizon, Turner, Univision, Kind Snacks, Taco Bell—and, most famously, Pepsi—have all opened new in-house studios. "Firms with requisite scale like Fidelity, Intel and Vistaprint have built in-house agencies that produce work at par with or better than external counterparts," read an April 6th Forrester report, "The New Agency Operating Model for Brands." Penny Baldwin, VP and general manager of global brand management at Intel, is quoted in the report saying: "Internal agencies can keep up with the day-to-day pace and velocity of decision-making and change." Maybe. But last week came a giant counterexample in the form of a 2-minute Pepsi spot featuring Kendall Jenner, a multi-ethnic cast of peppy protesters and a peace-making can of cola that proved so inflammatory the company apologized for it and yanked it off the Web within 36 hours. "I saw that today North Korea conducted a missile test, which escalated tensions in the region, but don’t worry," said Jimmy Fallon on Thursday. 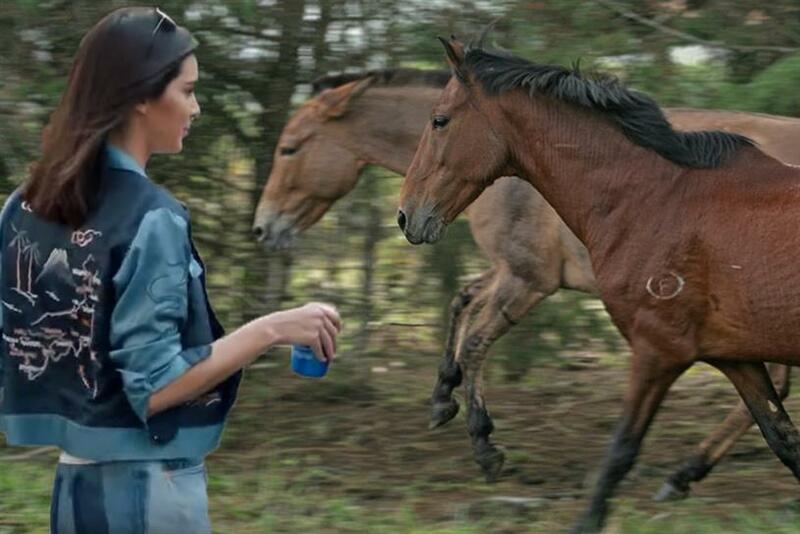 "Things settled down when Kendall Jenner stepped in and handed them a Pepsi." Even Martin Luther King Jr.’s daughter piled on, sarcastically lamenting on Twitter that her father didn’t use Pepsi to help achieve civil rights. And Saturday Night Live parodied the situation. "What the hell were they thinking?" was the question on everyone’s lips. For those in the business, the question was more specific: "How did this thing get approved?" The answer, if you happened to ask an agency executive, was that clients need agencies to save them from themselves. "Brave and audacious ideas need people to fight for them and not-so-great ideas need to be damped down," said Ogilvy & Mather Chief Creative Officer and Co-Chairman Tham Khai Meng in an email. "Creatives at an agency do that naturally but would, perhaps, be less inclined to do so if working directly for a company. "When you join an organization, you join and absorb the culture, the way things are done and the prevailing thinking," Tham continued. "You conform. You need cross-fertilization of thought." Matt Jarvis, CEO and partner at 72andSunny, echoed Tham, saying in-house work is often developed in an "echo-chamber that might not be in-sync with culture." Marketers were less inclined to take that view. "I don’t think having an ad agency minimizes the risk of doing work that’s bad or off-brand," said Peter McGuiness, Chobani’s CMO and chief brand officer. "I don’t think it maximizes the risk, either." Chobani has some experience with this issue. In March 2015, the brand dropped Droga5 as lead creative agency and announced it was bringing marketing in-house and working with other agencies like Opperman Weiss on a project basis. But this past September, the brand reversed its strategy and hired Wieden+Kennedy Portland as lead creative agency. But even privately, CMOs were far less likely than agency executives to blame the ad’s failings on the lack of outside help. "Don’t think it’s an internal/external agency issue," said one CMO for a restaurant group. "But big mistake!" Others say that Pepsi’s ill-fated spot is not a result of the blindness of in-house agencies, but rather the lack of diversity in the whole industry. Antonio Lucio, CMO at HP, said it doesn’t matter whether the spot was created in-house or not. The point is that "it is not clear what insight is reflected in this campaign regardless of its production," he wrote in an email. Coincidentally, Jason White, EVP and Head of Marketing at Beats by Dre, had cited the lack of agency diversity as a reason for bringing work in-house just hours before the Pepsi ad was released. "When you start to look at culture and you see agencies not reflecting that, then you don’t get some of the points of view you wish you were getting," he said during a panel discussion at the Association of American Advertising Agencies’ Transformation conference in Los Angeles on Monday. "Then you have to get those in-house or from small little factions, parts of your ecosystem. When you've got one point of view, that's a risk. That's a risk I don't want." "And I love our partners," he continued. "I'm not pointing the finger at any of our partners, but when you look at the industry overall, I think what's happening outside of agencies is way more interesting. What's happening in these tiny little factions of street culture kids and artists, that's what's really moving, and I just wish there was more of that in agencies." Of course, bad work can come from anywhere—including street culture kids and artists. Rapper Tyler the Creator and Odd Future, a "hip hop collective," collaborated on a 2013 Mountain Dew (owned by PepsiCo.) ad that was widely condemned as racist. And the list of bad commercials made by agencies is simply too long to list. Indeed, after years of being blamed for subpar work and a lack of diverse viewpoints—often by President of PepsiCo’s global beverage group Brad Jakeman himself—there was an unmistakable touch of schadenfreude in agency reactions last week. "Agencies are desperately grasping at straws," said James Cooper, head of creative at Betaworks and a former creative lead at Google’s Creative Lab and chief creative innovation officer at JWT. "It's almost as if some agency people saw this as a victory for the agencies. But it's not, and even if it was, it's a small battle won in a war they are emphatically losing as more and more talent goes in-house." Indeed, the enthusiasm for bringing work in-house wouldn’t seem to be easily slated. In January, the ANA introduced a new in-house agency committee, co-chaired by executives from Bank of America and PwC in "recognition of continued interest in the topic," said Bill Duggan, Group EVP at the ANA. Fifty of the committee’s 110 members showed up to its first meeting, in March—double the amount a typical ANA committee meeting sees, said Duggan. "It shows that there’s deep interest in this topic," he said. "Agencies need to grow up," said Lindsey Slaby, founder of creative brand consultancy Sunday Dinner. "Marketing is a big deal now as consumers are the channel and there is so much to handle, and much that needs to be hyper-connected to the brand. Outside people cannot do it all or pretend to know or care about the business." Still, it's important to note that not all agencies are desperate to point fingers at Pepsi's in-house agency. Carl Johnson, CEO at Anomaly, said the issue isn't about in-house content versus external, but whether the work is poorly judged or not. "That can happen anywhere," he wrote in an email. Yet others still cling to the hope that last week’s humiliation will make brands think twice before pushing agency partners aside. "Jakeman sold this thing internally so he could have his little toy box, and it blew up in his face," said an executive from one of Pepsi’s agency partners. "Internally, they will probably put some checking mechanism in place so this doesn’t happen again." The source also speculated that the Pepsi studio would step back from producing large global pieces and focus instead on "smaller, regional work." At least for the time being. Whether that proves true is hard to say. As is whether traditional agencies would necessarily receive assignments the clients still choose to farm out. Regardless, it will surely take more than a Pepsi to help all sides find a solution. Poll: Is Pepsi's ad fiasco what happens when you bring creative in-house?